I have an affinity for Bulgaria — so overlooked and underappreciated … and yet so charming in a Slavic way. In my student days I spent lots of time exploring Bulgaria and its capital city Sofia: playing chess in the park, watching paranoid people huddled on street corners talking sports (and wishing they could talk politics), seeing locals dutifully lining up to visit waxy figures in public mausoleums. Because of its strategic position just north of Greece and Turkey, Bulgaria sits on layers of history. From ancient Greeks and Romans to fearsome Slavic warriors, and from Ottoman pashas to Cold War communists, each group left its mark. With glittering treasures from ancient tombs and decrepit monuments to a difficult 20th century, it’s a surprising land. Sofia may be poor compared to London, Paris or Berlin, but you wouldn’t know it strolling its vibrant boulevards. With a million people, Sofia is delightfully livable. It has an airy, open street plan with fine old architecture, lush parks and a relaxed pace of life. In this town, any time you dig, you find ancient ruins — bits of Roman Sofia. Preserving its rich heritage is a priority, and the city’s infrastructure is built around its archeological treasures. Beyond its Roman heritage, Bulgaria’s complicated history has made it a melting pot — and with its ethnic diversity came different religions. 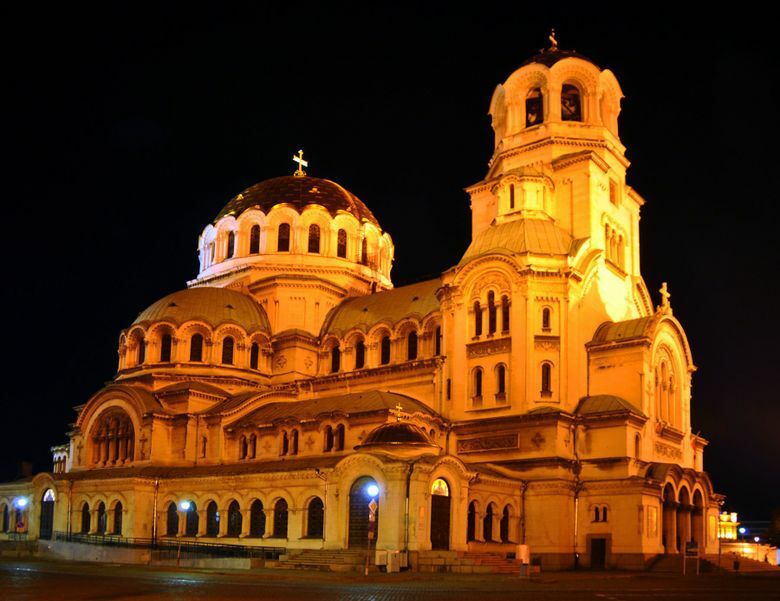 In Sofia, within a few steps, you’ll find churches, mosques and a synagogue. Most Bulgarians, like Russians and Greeks, are Orthodox Christians. Distinctive domes stretch from here far to the east. And there are mosques surviving from five centuries of Ottoman rule. Today, roughly one in every 10 Bulgarian citizens is Muslim, whose ancestors for the most part came from Turkey. Sofia also has one of Europe’s largest synagogues. Bulgaria — an ally of Germany during most of World War II — was one of the only countries in Nazi territory that refused to turn its Jewish population over to Hitler. None of Bulgaria’s 49,000 Jews were deported to concentration camps. Sofia has some surprising oddities. It prides itself on its natural springs, which attracted the first settlers here in ancient times. And the city even has an actual yellow brick road. The bricks were a gift from Austria’s Emperor Franz Josef — who, after what must have been a muddy visit in 1907, wanted to encourage Sofia to pave its streets. The bricks lead to a pair of important churches. The Church of Sveta Sofia — with its austere basilica floor plan and original sixth-century walls — has hosted worshippers since ancient times. Across the street is Sofia’s cathedral — one of the largest Orthodox churches in Christendom. It’s the only national church I can think of that’s named for a major saint and military hero of a different country: Alexander Nevsky of Russia. Russian architects designed the church with a mix of Russian and Neo-Byzantine styles. Its cascading gold and copper domes are striking from every angle. Inside, I was immersed in the glow of Orthodox tradition. Walls glittered with gold and silver icons, all from the early 20th century. After World War II, Bulgaria ended up in the Soviet Bloc. Even though Bulgaria was famously docile under Russian rule, life under communism wasn’t easy here. And today, while enthusiastically part of the EU, Bulgaria still wrestles with its communist legacy. Although the communists are gone, their architectural heritage still looms large. At Sofia’s main intersection, today’s parliament offices fill the Stalinist-style former Communist Party Headquarters. 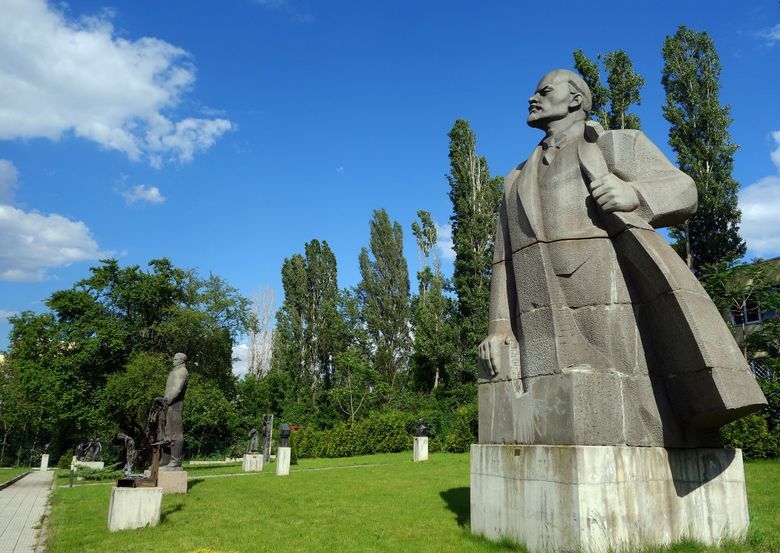 All over Bulgaria, controversy swirls around crumbling communist-era monuments. Should they be allowed to stand, or should they be torn down? Many have already been removed and are displayed at Sofia’s Museum of Socialist Art. In the museum’s sculpture garden of communist propaganda, Lenin, who once topped the main pillar in the center of town, still faces the storm. The red star, which for 50 years capped the city’s grandest edifice, no longer inspires. And Georgi Dimitrov, the “Bulgarian Lenin,” is simply ignored. Relatively unknown and underappreciated, Bulgaria is a country I’ve long enjoyed for the surprises it offers the curious traveler. It may not appear at the top of many travelers’ wish lists, and that’s just one reason you may want to visit. Rick Steves (www.ricksteves.com) writes European travel guidebooks and hosts travel shows on public television and public radio. His column runs weekly atseattletimes.com/travel.